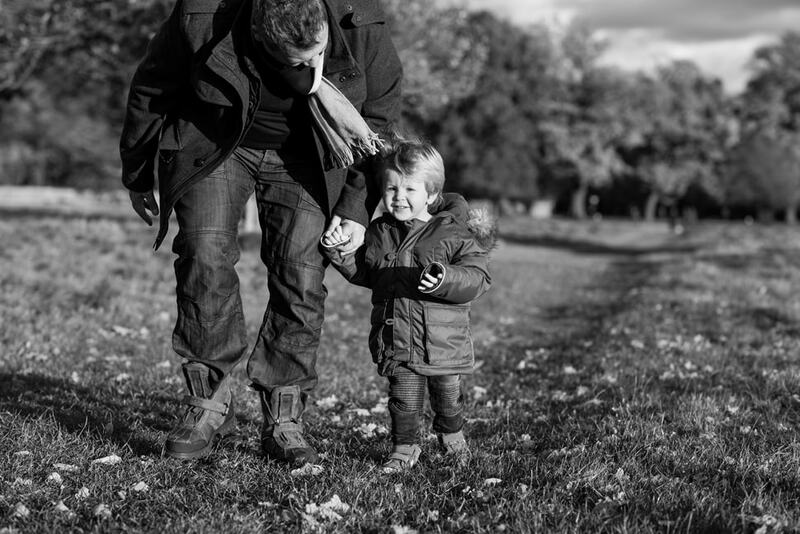 I know I start most blog posts saying this but I just adore it when couples I have photographed getting married come back to me with their growing families. 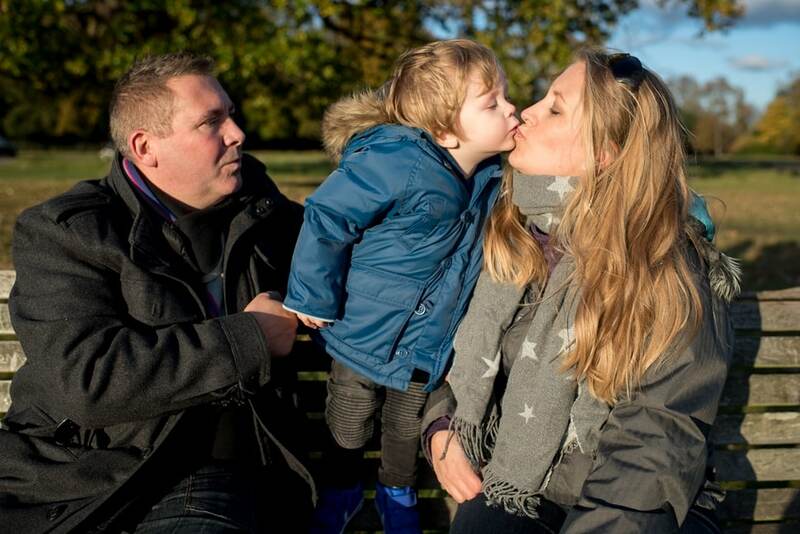 Kat & Andy got married in a beautiful humanist ceremony under a blossom tree in her family’s garden a number of years ago. 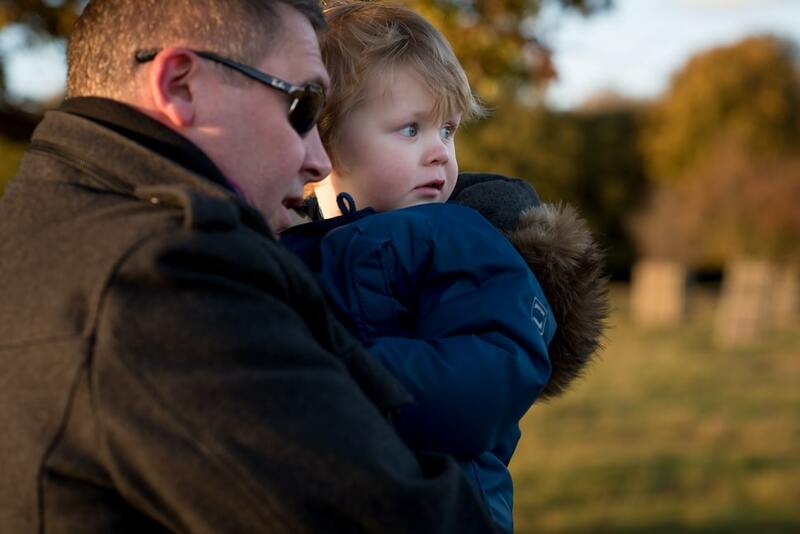 It was such a fab day and so uniquely them that I think back on it so happily. 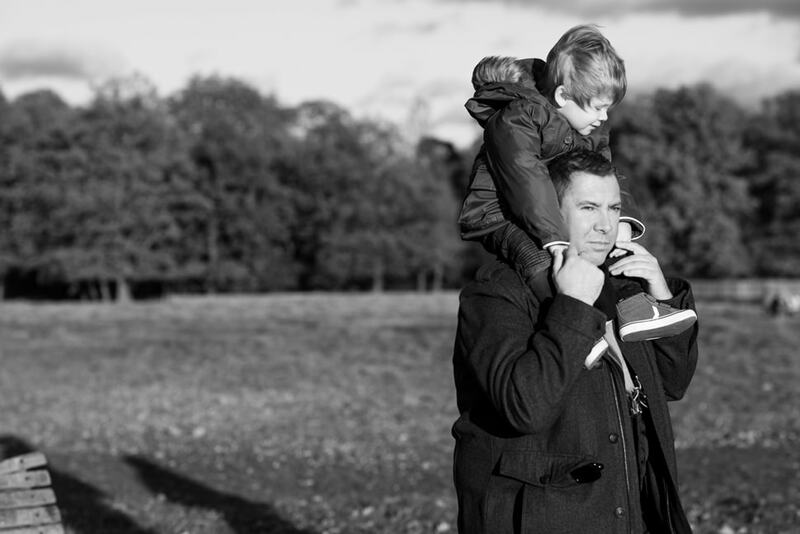 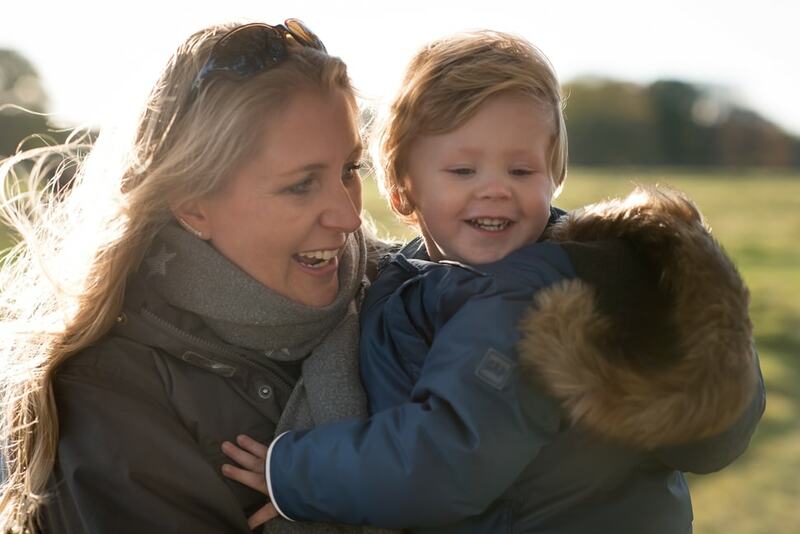 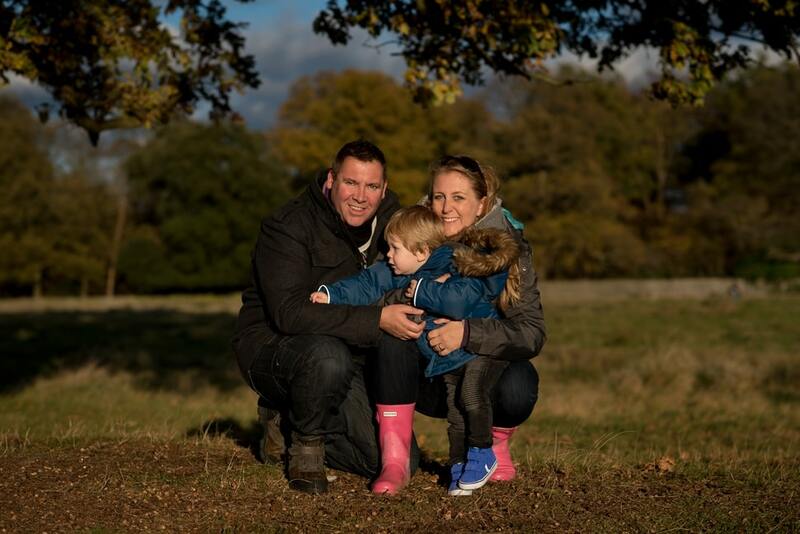 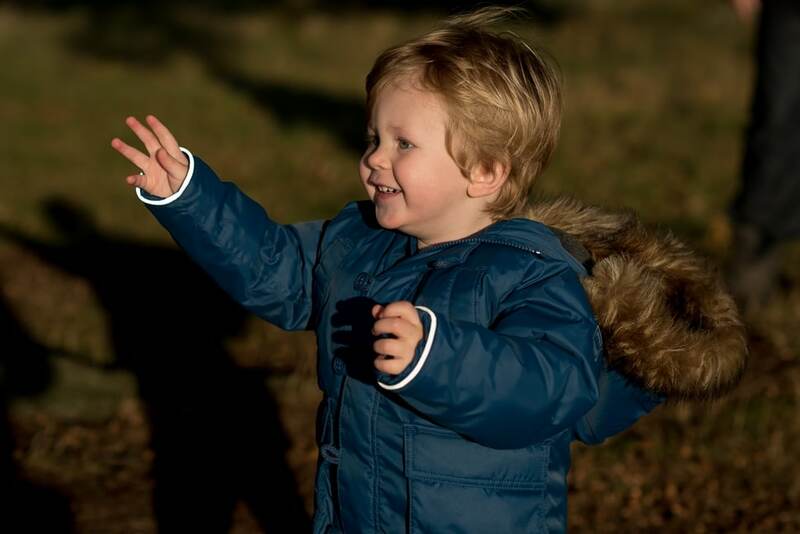 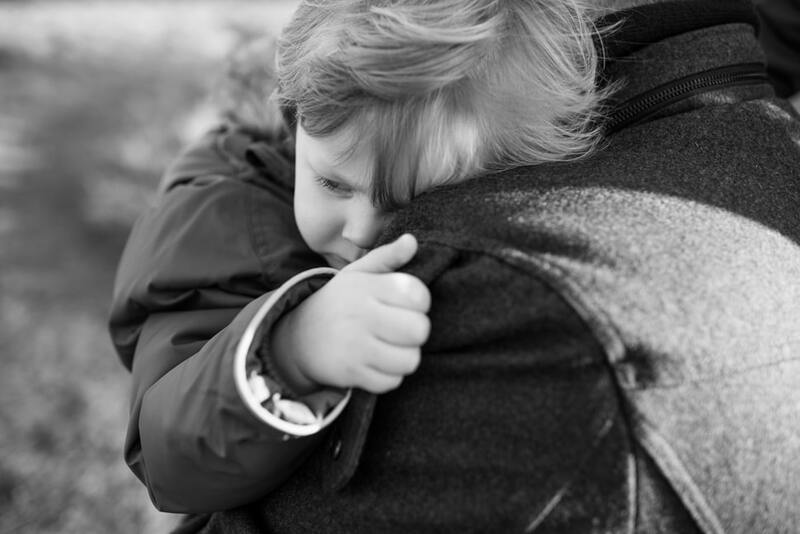 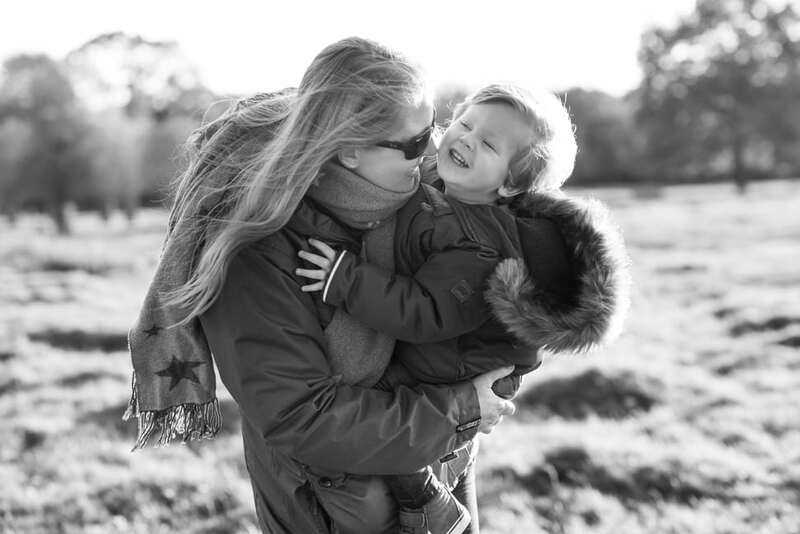 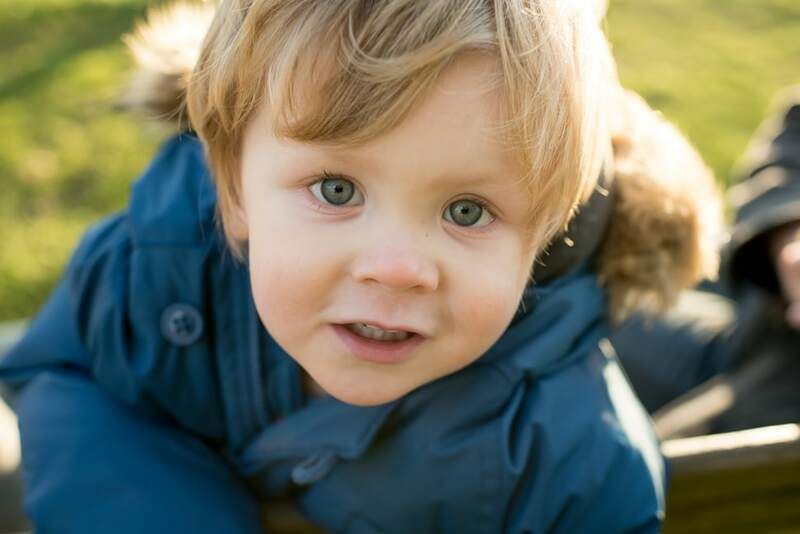 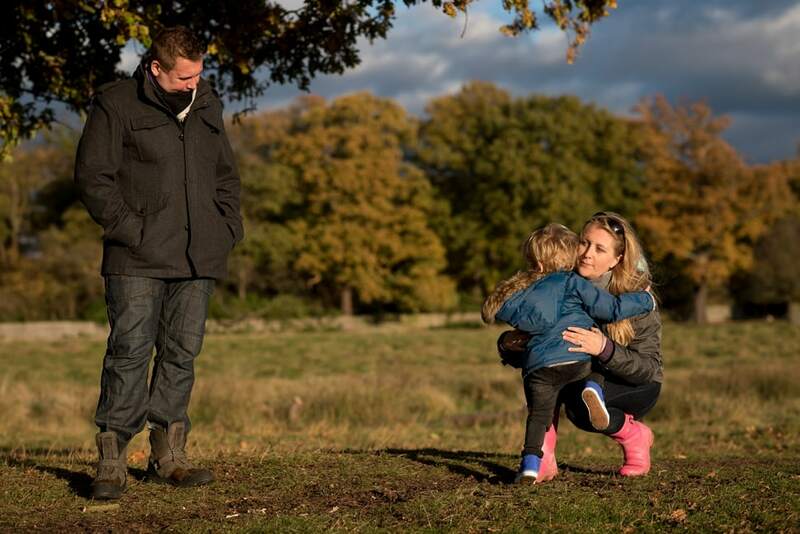 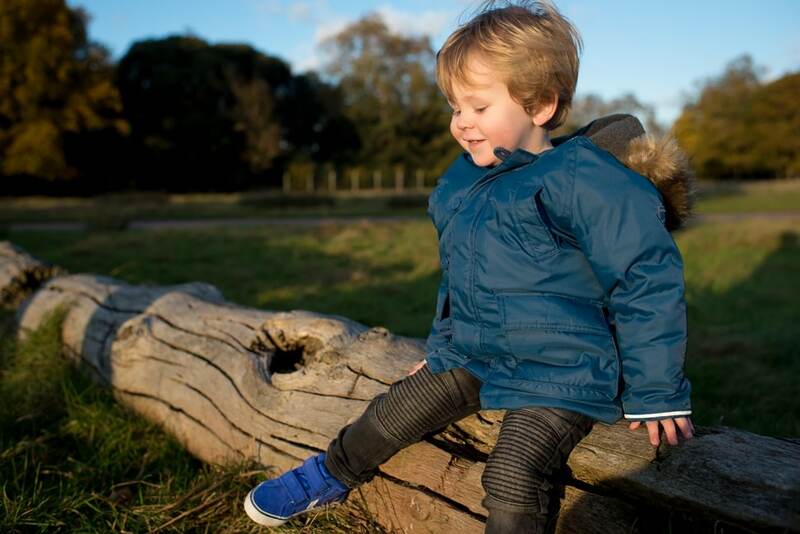 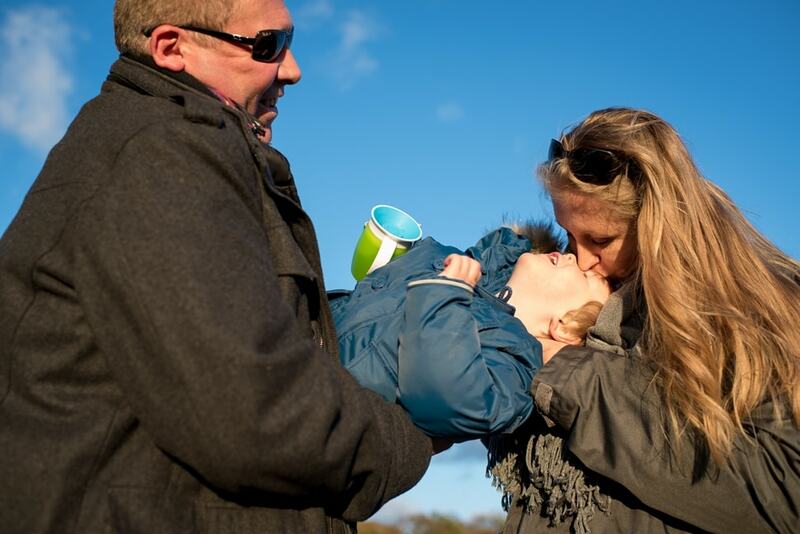 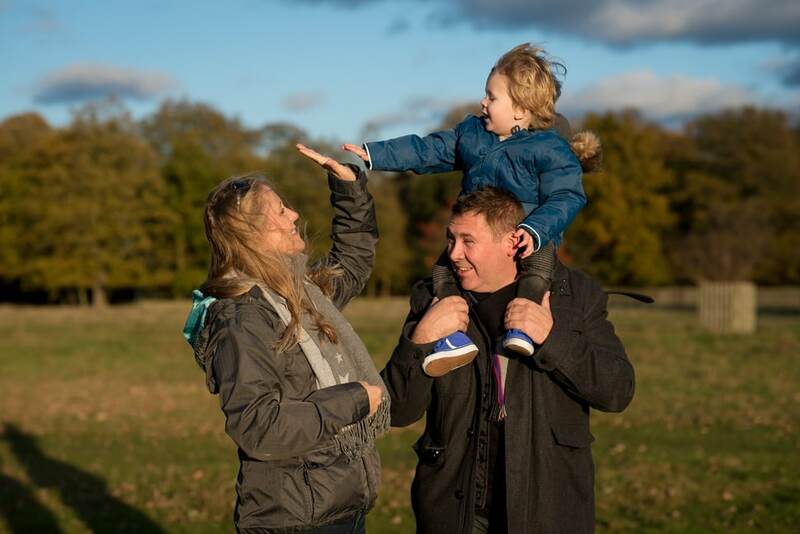 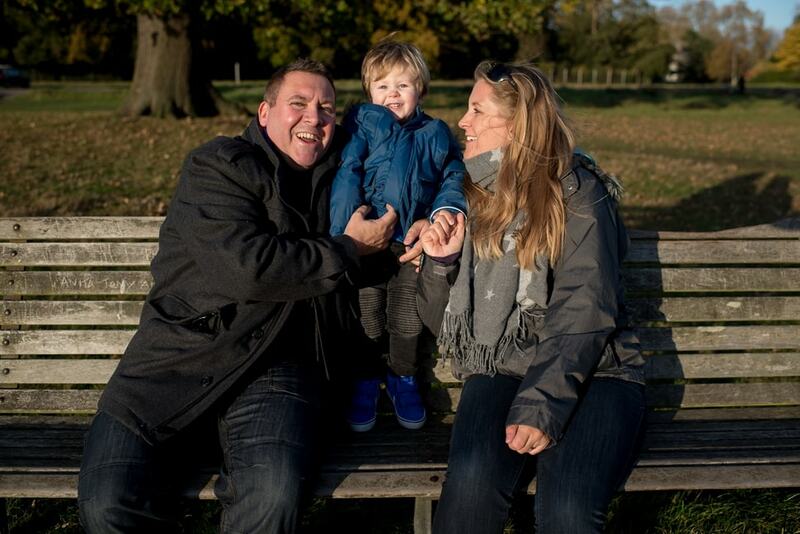 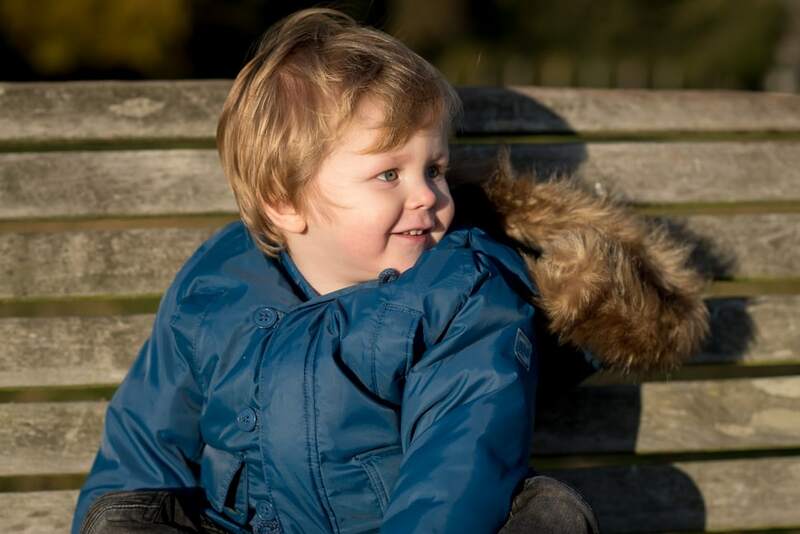 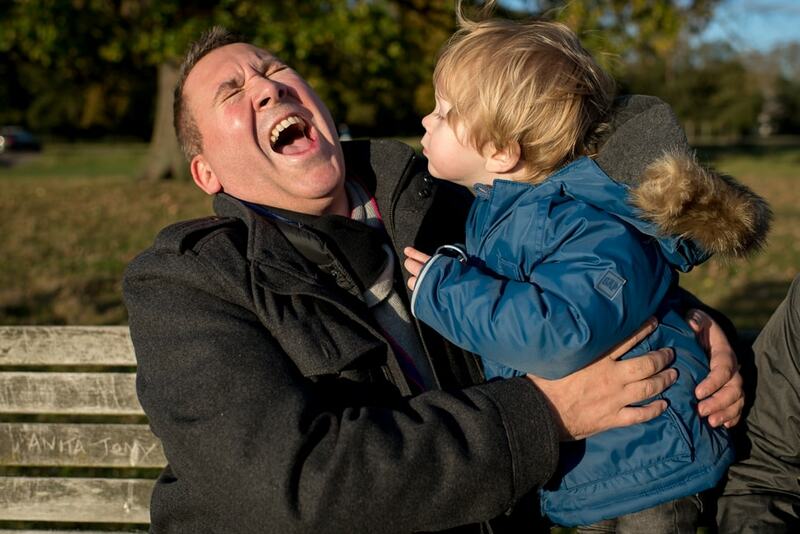 So, it was such a pleasure to meet little Riley, their gorgeous son to take some freezing photos in Bushey Park. 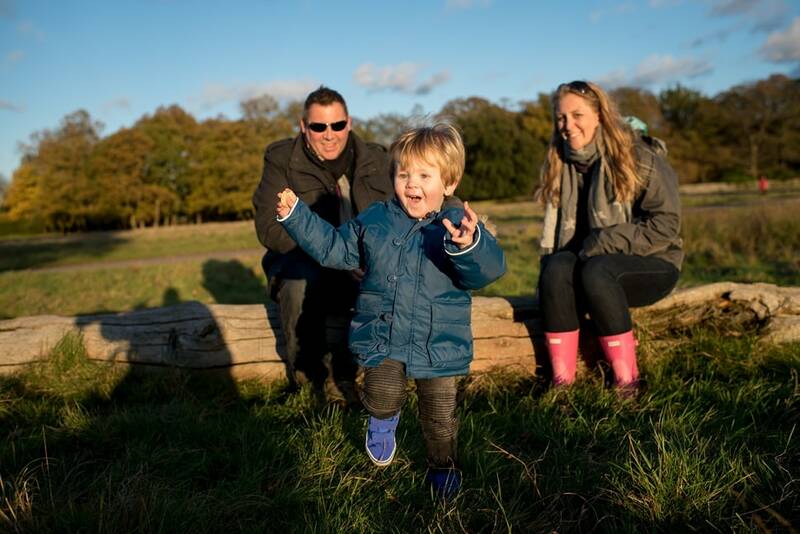 He soon got into the swing of things, making his Mum and Dad giggle away, chasing dogs and finding awesome logs to jump off. 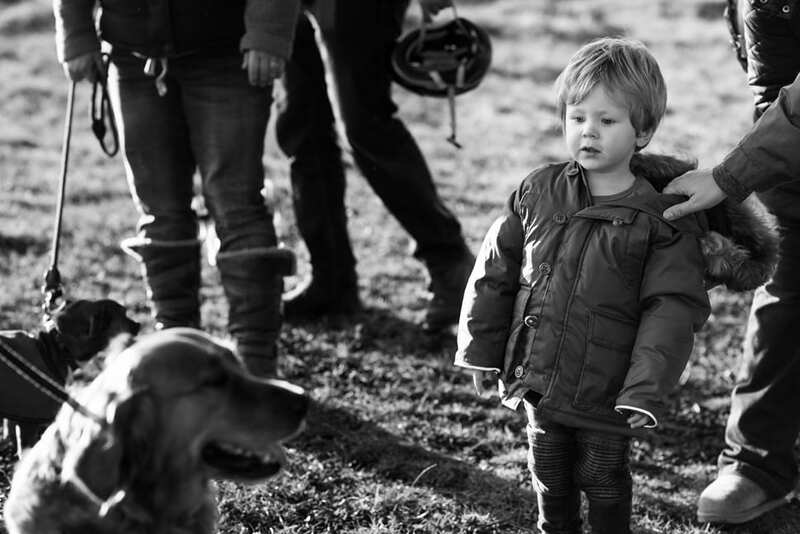 He really is such a sweet little boy and I had so much fun hanging out with the three of them. 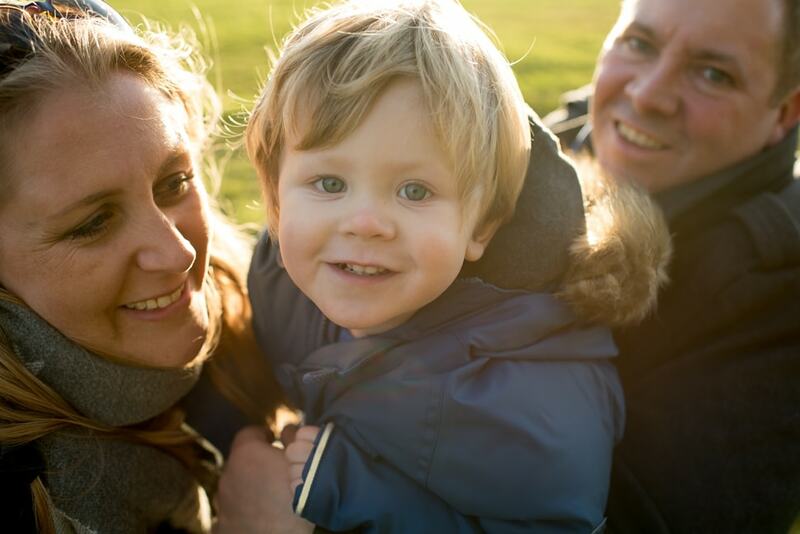 I’m super excited to be seeing this family again soon as they take me on holiday with them to Portugal to get some holiday family photos. 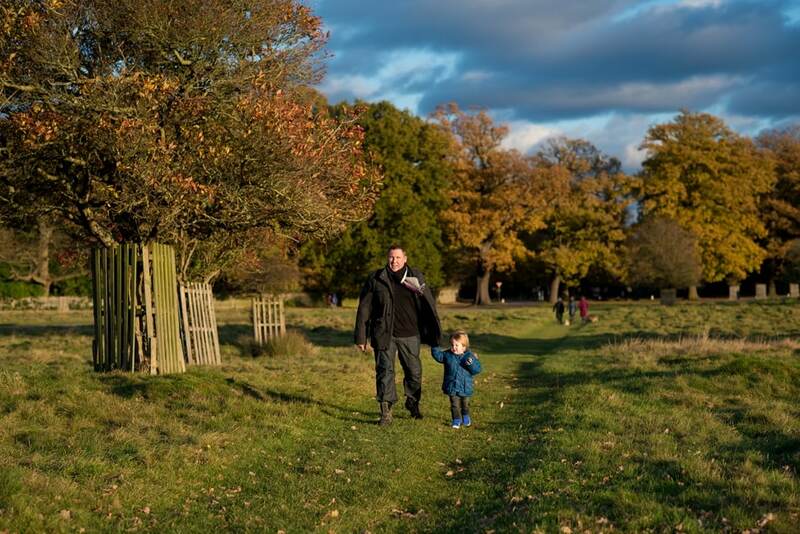 I’m hoping, for everyone’s sake, that Portugal will deliver better weather than Bushey Park in November!